The exhibition ’Conn3ct’ can be seen at Museum Meermanno | House of the Book from 24 February through 21 May. 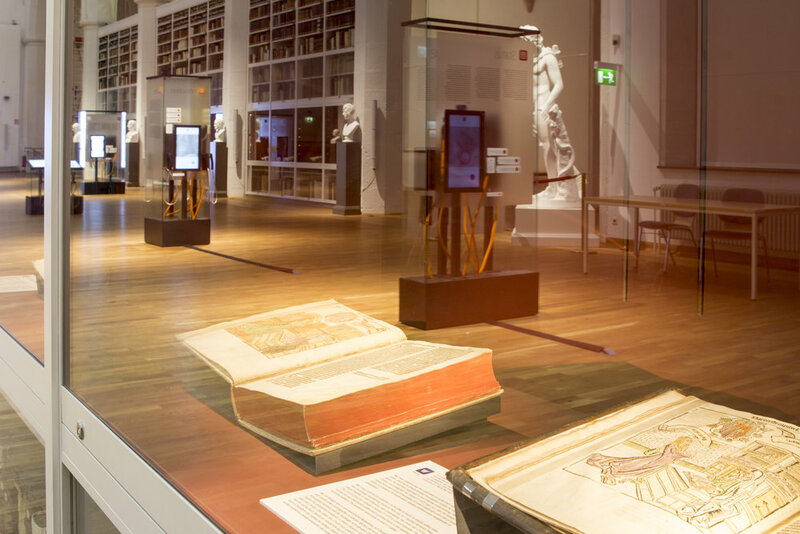 This interactive travelling exhibition is the result of a collaboration between The Royal Library (KB) and the Flanders Heritage Library. It was shown earlier at the Pauliner Church in Göttingen. Social media have come of age and we find it difficult to imagine living without them. They are with us all day long on our smartphones or tablets, so that we are constantly exposed to the experiences and ideas of others; people we really know or those we only know online. A revolution in the use of media and in communication. Five hundred years ago another new medium came of age: the printed book. For the first time scholars, politicians and other educated citizens could spread their ideas rapidly, much more quickly than with letters and hand-written books. These ideas also reached many more people in a shorter time. What connects Erasmus with the users of social media? Conn3ct allows visitors to discover in an enjoyable way what Erasmus and Twitter users have in common. 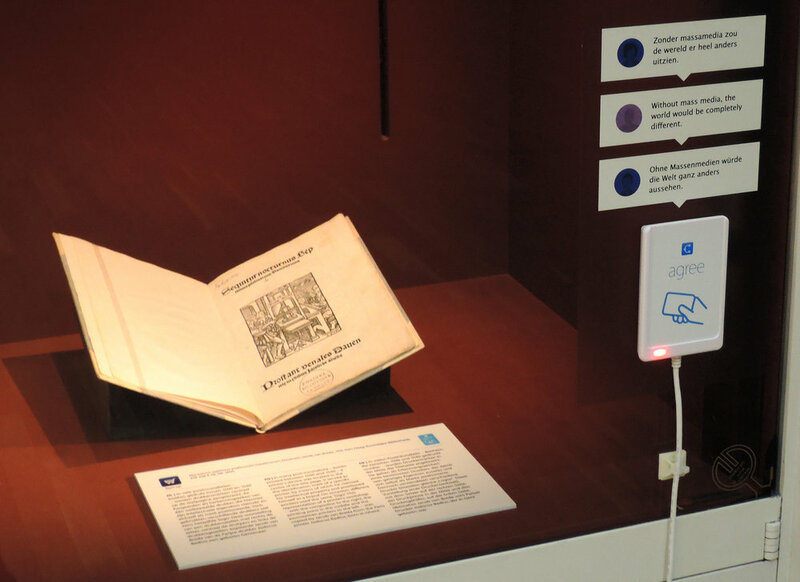 The 67 early sixteenth century books on display and interactive multimedia consoles are used together to explore nine themes that illustrate the similarities between both media. The exhibition itself is a social medium. Visitors log in to the exhibition and share their opinions and preferences with each other. The influence of social media becomes remarkably concrete in this exhibit. Everyone is most welcome to see and experience this intriguing exhibition. The museum will actively seek out secondary schools and university programmes of history, book studies and communication and media studies so that the exhibition will make a valuable contribution to education. 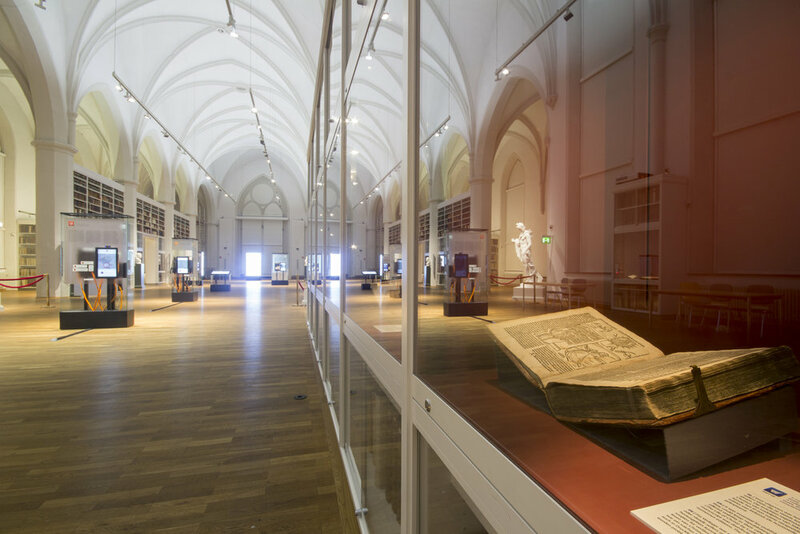 Conn3ct is an initiative of the Flanders Heritage Library and the Royal Library, the national library of the Netherlands, in cooperation with the Provincial Library of Limburg and the University of Antwerp, on the occasion of Flanders and the Netherlands serving as the guests of honour at the Frankfurt Book Fair in 2016. Where else will Conn3ct be shown?